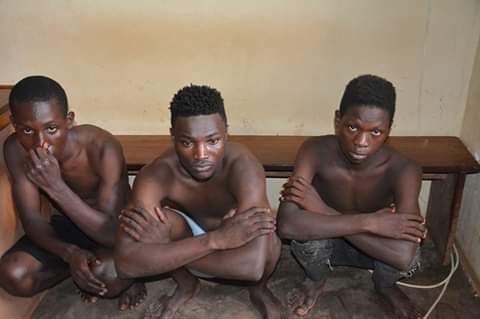 WAKISO – Police at the weekend arrested three suspected vehicle number plates thieves involved in activities of extorting money from residents of Katooke, Kibwa, Wamala, Nabweru, Lugoba, Kazo Nansana and Kawempe. Three suspects identified as Kuraish Lubuulwa (17), Ramathan Kabooyo aka Amooti (22) and Experito Ssengoba (19)yrs were arrested with 29 stolen vehicle number plates. This follows numerous complaints from residents about the raising vehicle vandalism and numberplate thefts by unknown suspects who leave behind their telephone numbers demanding for mobile money before giving back the plates. After several hours of questioning, the suspects opened up and led police to different locations where they had hid the number plates. Number plates theft is a form of smart crime that brings in quick cash from the affected victims. In case of number plates theft, police advised owners to report to the nearest police so that they can be issued with an official document to present in case they stopped by traffic police on their journey, and also use to obtain a replacement plate.